This morning I went to the infusion center to get iron pumped into my blood. Being at the cancer center was sobering. 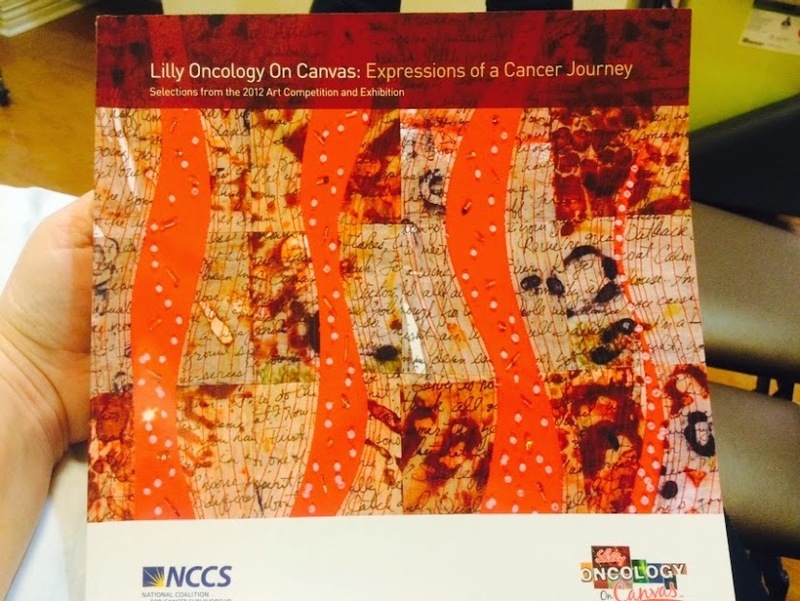 While in the waiting room, I picked up a book called Lilly Oncology on Canvas: Expressions of a Cancer Journey. 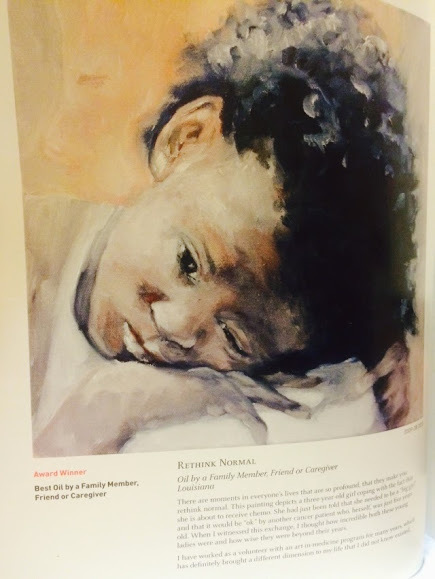 This book highlights selections from the 2012 Art Competition and Exhibition. I love art (can’t draw or paint to save my life but I can appreciate it when I see it), so I went through every page during my 45 minute stay. I thought of my dear friends who have lost loved ones to cancer. I thought of those I know, some closer than others, who are currently fighting the battle. I thought of relatives and friends of cancer patients who suffer alongside them. My heart ached. I prayed. 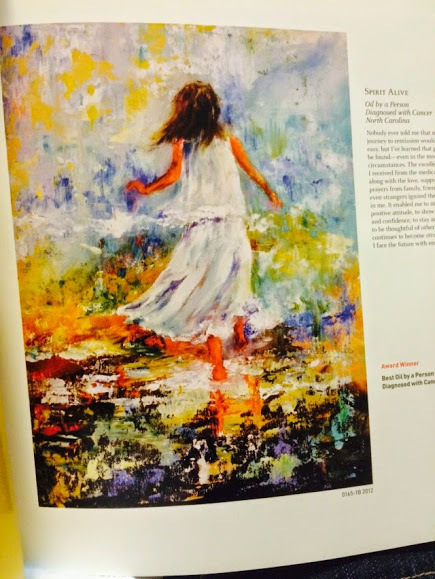 I read the stories behind these works of art created by either cancer patients and their loved ones or caregivers. There were heart wrenching stories of death and suffering. 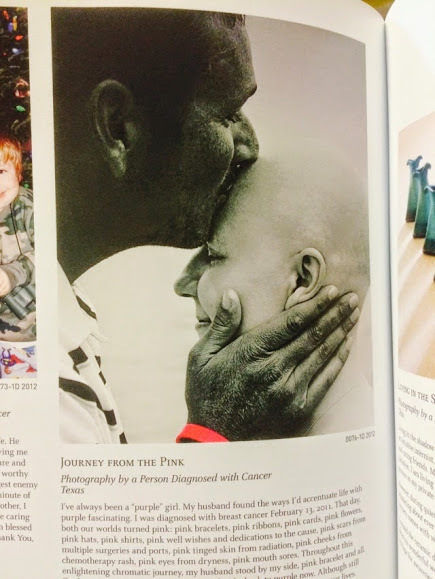 There were also many stories of victory over cancer, new life, hope, and gratitude. I noticed a common thread from cancer survivors: a new-found appreciation for life. I read words such as “celebration”, “thankfulness”, and “newness”. I read stories of holding family closer, listening more, not taking things or people for granted, treasuring every moment, and feeling happiness in the smaller things. As horrible as cancer is, people who go through it can often find a new way to see the world around them. What a gift. What a horrible, awesome gift. As I write this, I pray and hope that my cancer-ridden friends find complete remission and healing, as well as supernatural strength to endure and conquer. I pray they will be filled with faith and hope, and come out on the other side, knowing God better, understanding life more fully, and appreciating every moment. I also pray for myself and my loved ones – the ones who are cancer free – My hope is that we also live as if life is a gift, because it is, and that we are able to celebrate it and enjoy it, because we just never know what the future has in store. Life is precious and should not be taken for granted. May we not waste a day, but find purpose and fulfillment in living, until God takes us home.